By Herring, Anne. Arranged by John Wilson. For Handbells. (SAB or Three-Part). Sacred. Print Music Single (SAB w/opt. Handbells). 8 pages. Published by Hope Publishing Company. Arranged by David Angerman And Darryl Dunn. For Handbells. 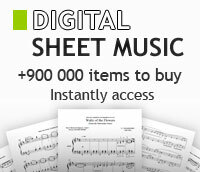 Sheet Music. Published by Harold Flammer Music. By Crouch, Andre. Arranged by George W. Briggs Morris, Hart. Sacred. Level: L3 . Print Music Single (3-6 oct. W/opt. Bass and drums). 12 pages. Published by Hope Publishing Company. Arranged by Mcdaniel & Teolis. For Handbells. Sacred. Print Music Collection (Duet Collection). Published by Hope Publishing Company. Arranged by Various Composers and Arrangers. General Worship, Sacred. Handbell score. Hope Publishing Company #2832. Published by Hope Publishing Company (HP.2832). By Catherine Mcmichael. For handbells (3-6 octaves). Holy Week, Discipleship, General. Level: Level 3+. Handbell sheet. Published by American Guild of English Handbell Ringers.